The Nemesis began as a dream in a garage. It came to life as a few individuals dared to believe in that dream. It has succeeded because the team continues to believe that the quest is more important than results, that continuing to raise the bar in aviation is vital to its growth, and that racing must always demonstrate what can be done, not what has been done. 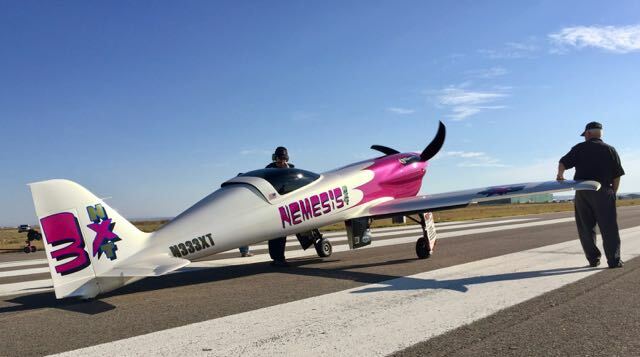 Nemesis Air Racing motto is “Chase the Dream…Not the Competition”. It was the driving force, the single focus, and the underlying factor that brought the team together. Well, the Dream did come true! 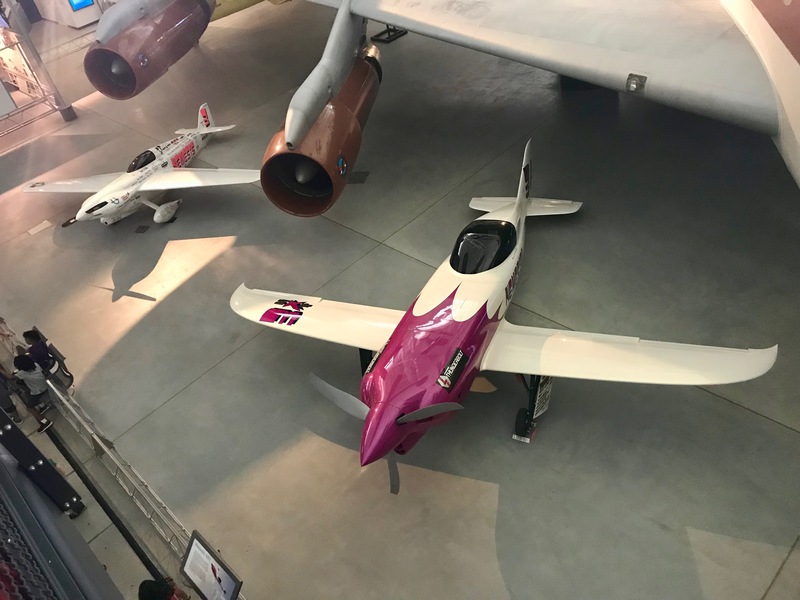 Team Nemesis is proud to announce that the NemesisNXT has been retired to the National Air and Space Museum (NASM), the Udvar F Hazy Center and is currently sitting next to Nemesis. 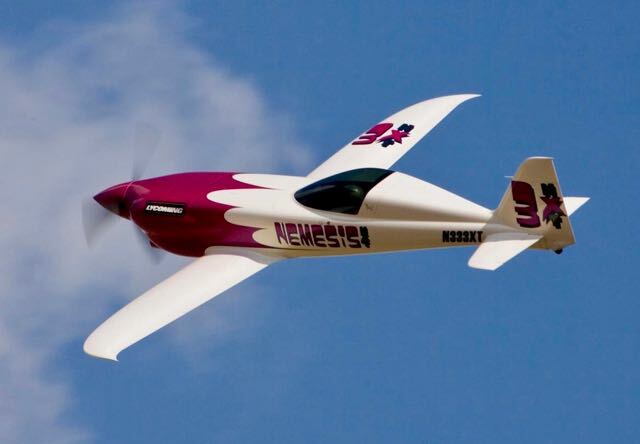 Nemesis was the first plane that Jon Sharp designed, built and raced. After it was retired, Sharp once again designed, built and raced the NemesisNXT. The success of the two planes would not have happened without the incredibly talented Team that worked endlessly on on both planes. They are the reason for the remarkable success of both the Nemesis and NemesisNXT. Of course, all the sponsors were an important part of the Team’s success; Lycoming Engines, Hartzell Propellers,Red Line Oil, Grove Aircraft, Aircraft Studio Design, Lockheed Martin Skunkworks, Aircraft Spruce ,and Tri-Tech Machines (just to mention a few). The Society of Experimental Test Pilots (SETP) has selected Jon Sharp for the Spirit of Flight Award for 2018. This year this award is sponsored by Scaled Composites of Mojave, CA and is presented to an EAA (Experiment Aircraft Association) member who best exemplifies the spirit of research, development or flight test. SETP is an international organization that began in 1955 and now has well over 2000 members. The organization seeks to promote air safety, sound aeronautical design and development. In addition the association assists in the professional development of experimental pilots and provides scholarships and aid to members and families of deceased members. EAA is planning an award ceremony at the Oshkosh fly-in on Thursday, July 26th, 2018 at 6 pm at the Homebuilder’s Dinner in the Nature Center Pavilion. Jon Sharp and Team Nemesis has just been notified that they will be receiving the Louis Blériot Medal at the National Aeronautics Association Fall Ceremonies on Dec. 8th in Arlington, VA. This medal is an aviation honor awarded by the Fédération Aéronautique Internationale (FAI), the International Aviation Record adjudicating body. The medal may be awarded up to three times a year to record setters in speed, altitude and distance categories in light aircraft, but in some instances it is not awarded at all or to only one aviator. This will be the fifth Blériot Medal that has been bestowed on Jon Sharp and Team Nemesis, a new record in the record books. No other pilot has received five Blériot Medals in the history of this medal, which began in 1936 in honor of Louis Blériot. In 1909, Mr. Blériot became world famous for the first flight across the English Channel and, in addition, was the first to make a working powered, piloted monoplane. Jon Sharp will talk about his air racing career including the accomplishments Team Nemesis has obtained throughout the 20 years of racing and World Records on Nov. 11, 2016 at the Oro Valley Community Center in Oro Valley, AZ. This event is from 5pm to 7 pm. Sharp will show the Documentary of Nemesis Air Racing and will give the audience a sneak preview of the next documentary of the Team called “For the Record”. In addition, he will speak about the trials and tribulations he and the team went through in the process of obtaining the success of Nemesis Air Racing. Jon Sharp and Team Nemesis were awarded the Most Memorable Aviation Records of 2015 for his record speed over a100 KM closed course of 397.40 mph. This World Record was set at the Moriarty Airport in Moriarty, NM on Oct. 1, 2015. The National Aeronautic Association (NAA) presented this award at the Summer Awards Ceremony on June 15th in Arlington, VA, of which only 9 people/records (Sharp being one) were recognized by the NAA along with the FAI (Feraderation Aeronautique Interntionale). NAA is the oldest national aviation association ins existence and is the official record-keeper for the United States aviation and works closely FAI in ratifying World Aviation Records. During the 2015 Speed Record attempt called Thunder of Moriarty, Sharp and the Team broke four other World Speed Records that were recognized by NAA/FAI. Of the five World Records, three of them were over 400 mph. As a recap, there were two weight categories, C1b (1,102 - 2205 lbs) and C1c (2205 - 3,858 lbs) that Sharp challenged during Thunder Over Moriarty Speed Blast in Oct . 2015. As a summary, the New World Speed Records are 3 km C1b at 393 mph (old record was 388.5 mph), 15 km C1b at 405.9 mph (old record 378.7 mph), 3 km C1c at 415 mph (old record 390.5 mph), 15 km C1c at 407 mph (old record 376.2 mph) and 100 km C1c at 397.2 mph (old record 364.2 mph).